Roaming the Countryside: Immerse Me. Take me now. It is a wild and windy night here in Sacatepéquez. The window beside my bed flashes with moonlight as the clouds race underneath it's shine. The pvc pipe that is cut as a gutter has again fallen to the concrete below. I imagine that it has now shattered beyond usefulness. I had to close the security door on the roof with paper wedged into the lock due to the force of the wind rattling it's steel frame like a specter making its way onto the landing. The outer gate is sealed and the inner doors are customarily open into the courtyard and driveway. The dog has free roam of the grounds. Watching the clouds surge beneath the moonlight reminds me of the nature of my days. Multitask has taken new meaning as my various natures have merged into a single creation. I once was student, pastor, administrator, missionary, friend, father, son, husband, wanderer... but now I am simply my namesake. I am Roamingshepherd. Call me Shep. "Not all that wander are lost." Thank you J.R.R. Tolkien. I look forward to chatting with you in the extended part of my timeline. I have learned to love the storm. My family sleeps in the darkened house. I take this silent moment to reflect. I am the moonlight as the busyness of my life races underneath. I notice every whisp and every shape. These days are amazing. The view is astonishing. I am in awe. I give thanks. 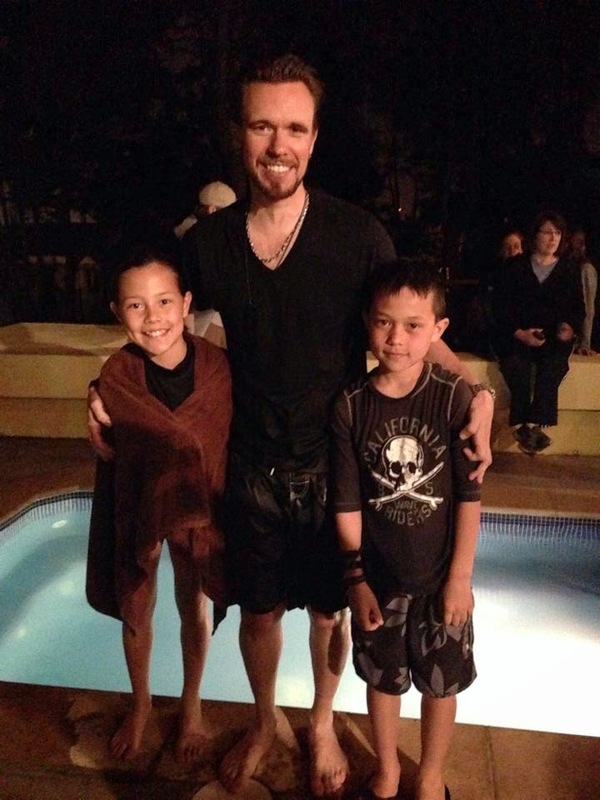 Do you know what it is like to immerse the children of your best friend in the whole wide world into a symbolic dunking of faith? Last week my right hand lifted into the night sky as my left overlaid a small hands clasping noses. A prayer was spoken, the requisite phrase, "Father, Son, and Holy Ghost" dissipated into the night, and bodies were raised dripping with evidence of salvation. My soul weeps with the immensity of the significance of this moment. My redeemer has brought me to this place. I reflect on a snowy day 4 years ago when I sat stuck in a snow-bank raging at the God of the universe! I was through with Him! I made a demand of Him. I clenched my fist and shouted... "GOD! God, if you are real. God if you are real then take me now. Kill me. Kill me right here... or take my life and use me. If you are real, damn me to hell in this moment or take this worthless life and show me something! USE ME. I shattered inside, physically hurting as my sobs smothered out my attempts at breath. I cried until I tasted blood and my side cramped. I felt God physically touch me. I was terrified. And I was a peace. I remember that moment tonight as the wind howls through the thin glass. I wonder how many windows will be cracked when the sun rises? I thank God that he shattered the window that held back my own soul. I rejoice for shattered pieces. 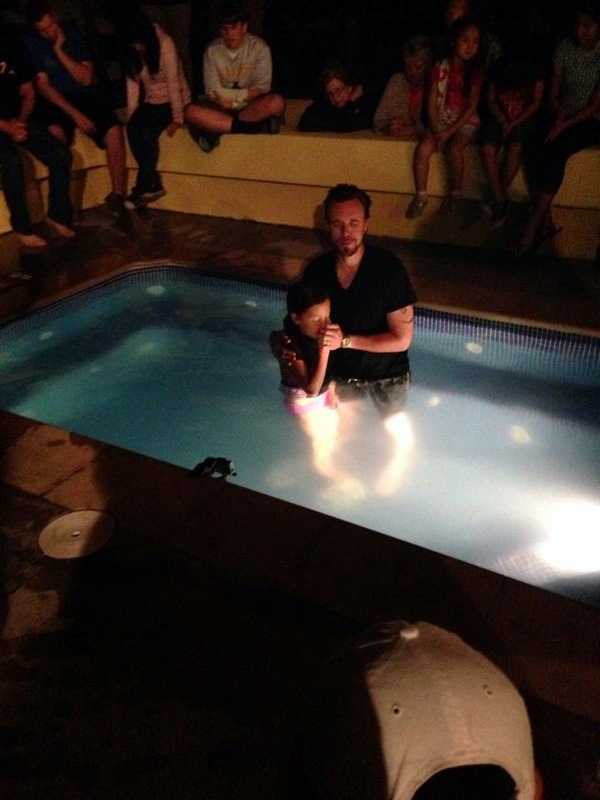 Baptism comes in many forms. 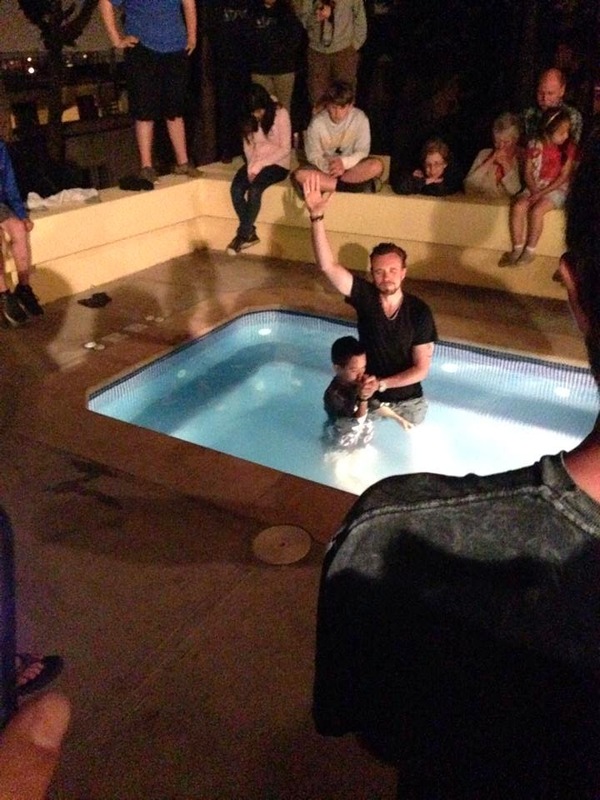 I baptized with water, and God baptizes with the Holy Ghost. The wind just slammed something into the concrete below... Kellie stirs in bed beside me. My fingers make rhythmic ticking sounds on the keyboard as the night resumes its pulse. Whatever is to come tomorrow is fine by me. I no longer fear death, or pain, or tragedy. Each day is an extension from that day in the snow drift. My God heard my rage and while He did not kill me... He indeed took my life. I will not fear the storm. 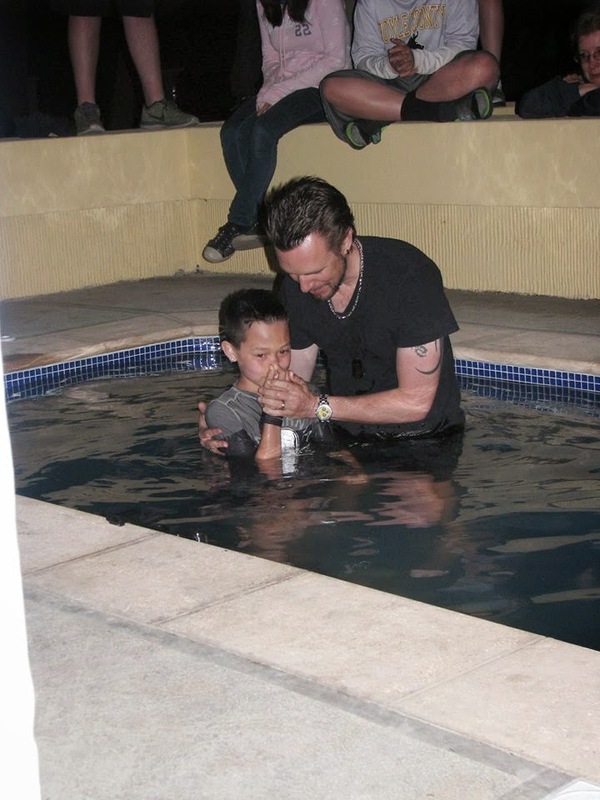 I am immersed deep into the water and my God's right hand reaches down to take my own.